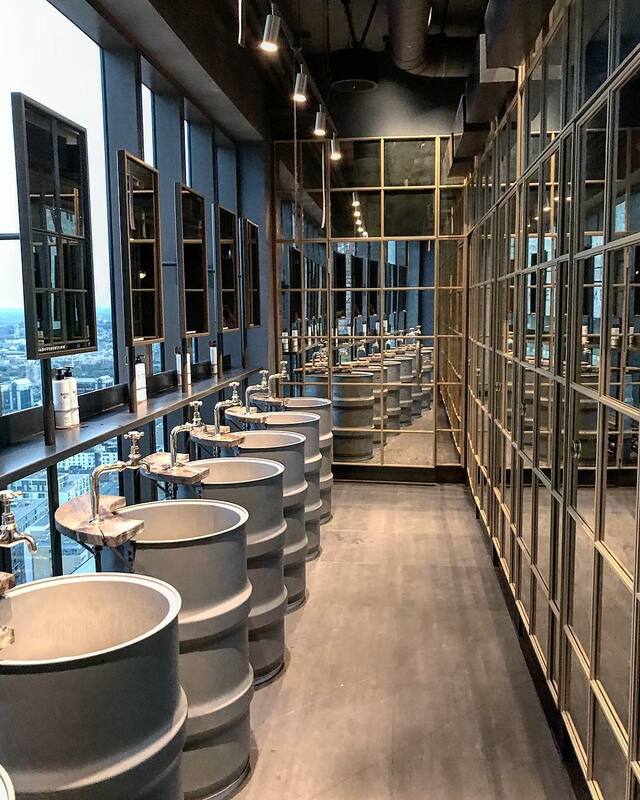 At first instance, it may seem very unusual to take photos of a bathroom in a restaurant but the bathrooms in some of London’s restaurants are in a league of their own. When the interior is as jaw-dropping as the food sometimes it can be hard not to snap a photo for your Instagram feed and share the impeccable decor with your friends. 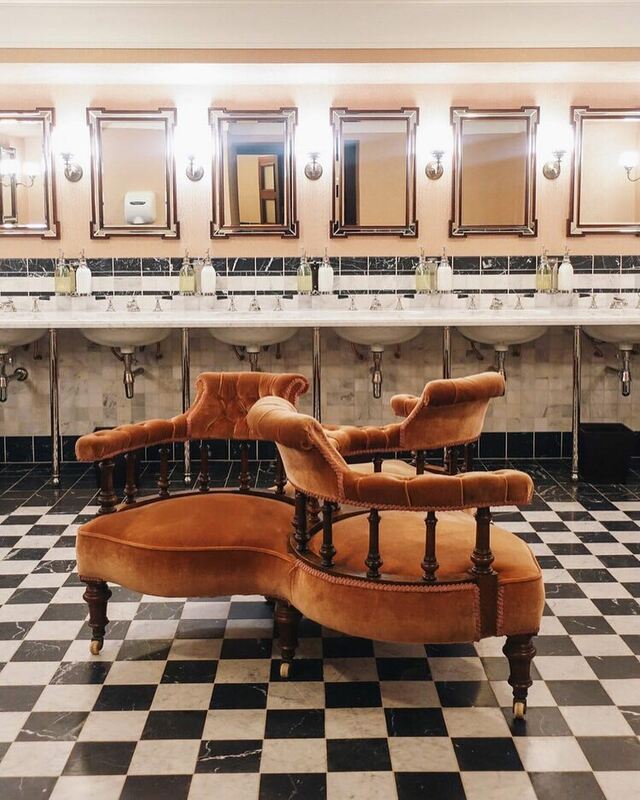 We have rounded up the most Instagrammable bathrooms London has to offer. 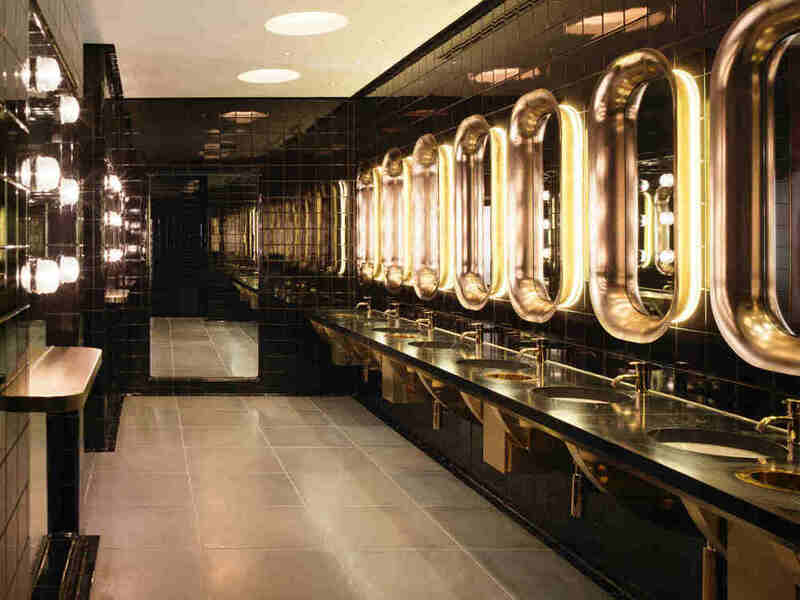 Sea Containers at the Mondrian Hotel in London exudes 1920’s cruise ship glamour. The bathrooms reflect the golden age of transatlantic ship travel with metallic and brass throughout. 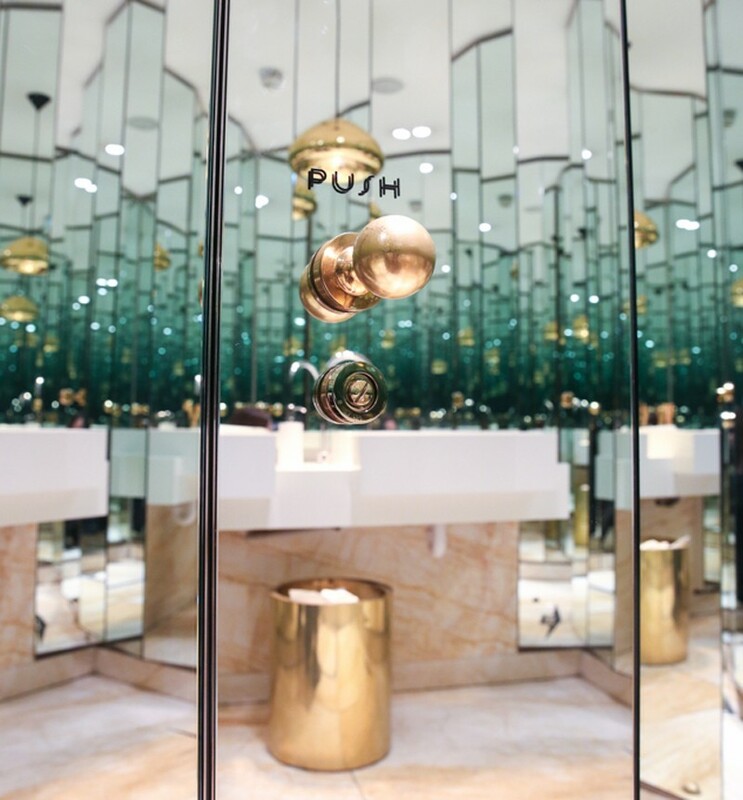 The handcrafted copper and brass porthole mirrors in the bathroom are now a popular feature on Instagram. Did you know Nopi is actually short for North for Piccadilly? Not only is the food top notch but Nopi is also notable for its beautiful interior. You will notice the crisp white palette along with a warm coloured marble and brass fittings as soon as you enter the restaurant but you are in for a dazzling surprise once you head towards the toilets at Nopi. The toilets here are a maze of mirrors, all set at different angles and light reflecting from all sides. The journey around the bathroom can be slightly confusing luckily the team at Nopi have now added directions to help you around. One of London’s most exclusive private members club, Annabel’s recently underwent a £55 million makeover. 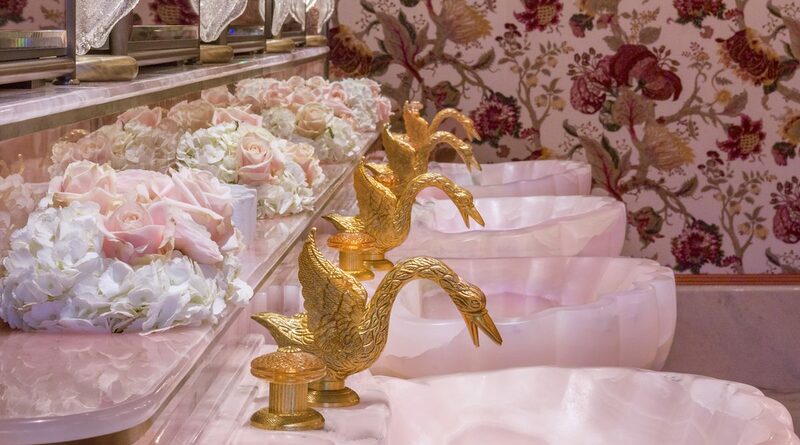 The bathroom at Annabel’s is possibly the dreamiest bathroom you will ever see, draped in silk flowers, hanging unicorn sculpture, venetian glass light fittings and hand-carved pink onyx sinks with gilded swan taps. If you are one of the lucky ones to get a membership, we recommend heading straight to the bathroom – you won’t be disappointed. Bokan in Canary Wharf is known for its spectacular views over the London skyline. The views aren’t just limited to the restaurant and the bar, they extend all the way to the bathrooms. With floor to ceiling windows, it will be difficult not to reach out to your phone for a quick photo of the city’s skyline. Alan Yau’s masterpiece Park Chinois which is inspired by the golden era of French Chinoiserie is known for its sparkling decor and decadence. It’s an opulent affair all around and the bathroom is no exception to this. 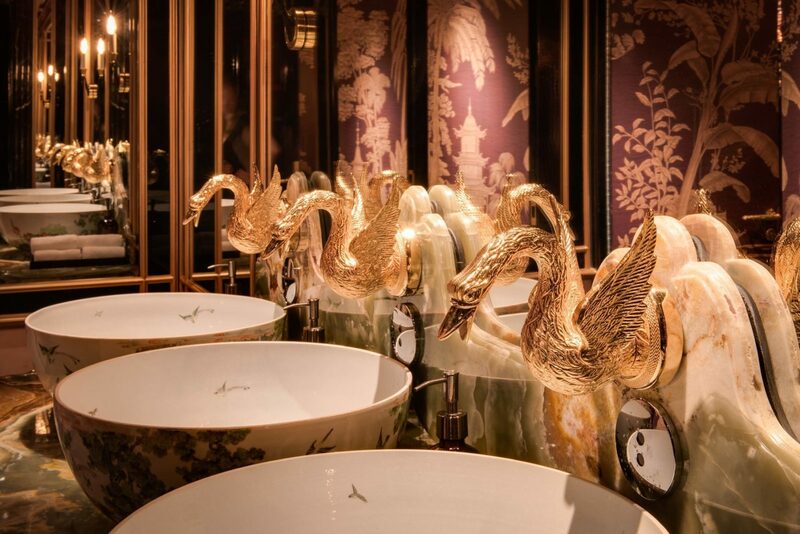 The sultry lighting, burgundy and gold decor along with gold-plated swan taps offers the perfect Instagram opportunity. The bathrooms at The Ned channels 1920’s glamour. With black and white checkered floors, marble tiling, perfect lighting and velvet-upholstered sofas taking the centre stage. It is one of those decor’s which truly make you feel like you have travelled back in time. Restaurant Ours has been featuring frequently on Instagram for its catwalk entrance and the flower wall but there is more to add to your feed at this restaurant. 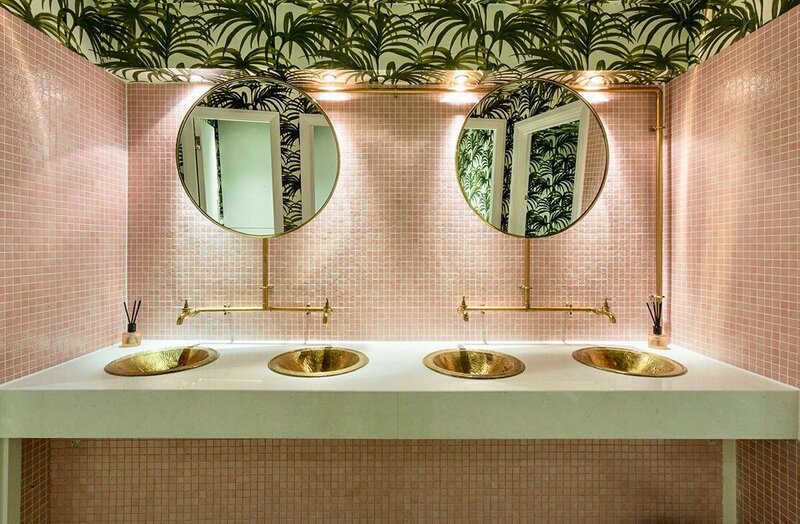 The bathrooms are eye-catching, to say the least, with a tropical pink theme paired with gold sinks making for a great photo opportunity. German Gymnasium in King’s Cross is a restored Grade II listed Victorian building with impressive decor and high ceilings. Not only does it have an Instagram worthy bathroom they have also been awarded the Blue Badge Style award for having the best disable toilet in London. 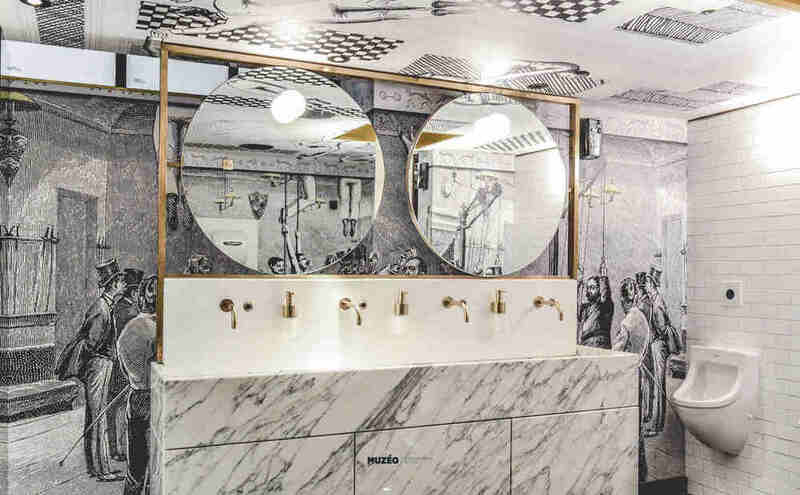 The decor is inspired by the 19th century with monochrome marble, very striking wallpaper paired with golden fittings. No Instagrammable venue list would be complete without Sketch. Redesigned by Martin Creed in 2012, Sketch it still one of London’s most unique restaurants. 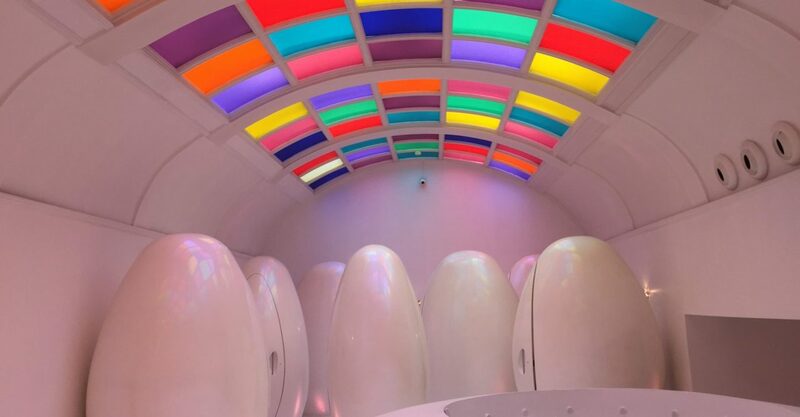 As soon as you enter the bathrooms at Sketch you will feel like you have been transported into a sci-fi film, known for their human-sized egg-shaped toilets, it is a one of kind experience.